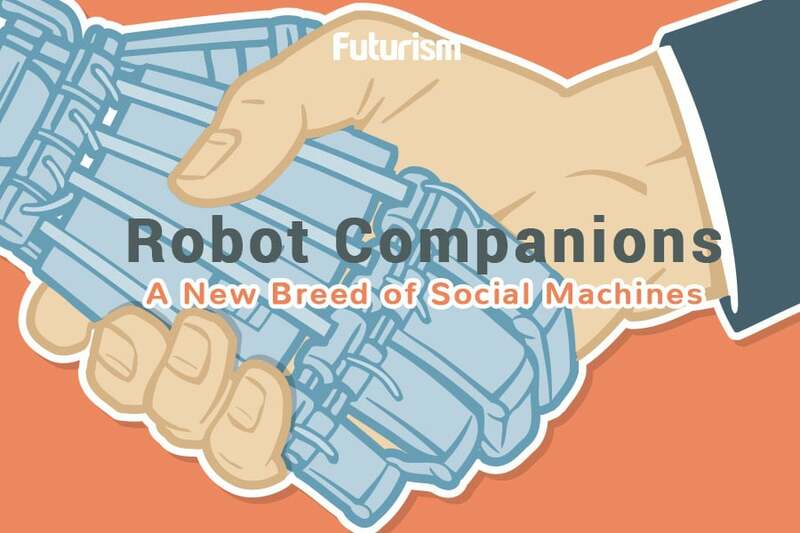 Studies show multifarious advantages of robotic pets over biological. That’s because the Aibo isn’t some exotic breed; it’s a type of robotic dog, manufactured by Sony. However, its body of metal and plastic, rather than bones and fur, doesn’t change how Aibo owners connect with them. As illustrated in a New York Times mini-documentary, when Sony stopped manufacturing parts for the Aibo in 2014, owners were genuinely distressed that it meant the impending “death” of their pets — even going so far as to hold a funeral ceremony for them. Why can’t we help but connect with robo-pets, even when we know they’re not alive? “It’s a very interesting question, and the research on very young children suggests that it’s not a learned behavior,” said Gail Melson, a psychologist and Professor Emerita at Purdue University, who has studied human-robot interactions and blogs about our connection with wildlife for Psychology Today. Melson told Futurism that while we haven’t identified a brain mechanism for this anthropomorphism, we can speculate that there’s an evolutionary basis to the bond. 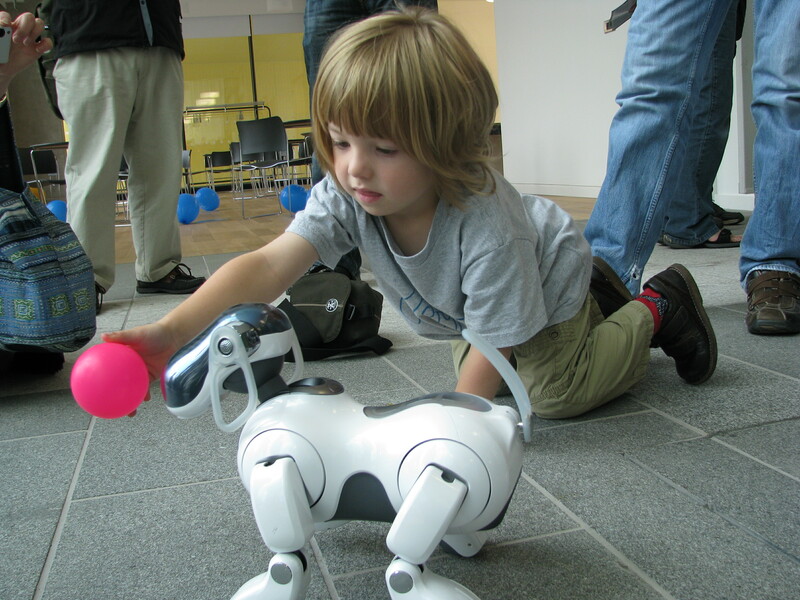 Melson’s research has examined how children, ranging from age 4 to 15, interact with the AIBO robot dog, finding most treat the robotic pet differently from a real dog. However, most do not behave as if it were an inanimate object or a toy. Younger children, in particular, often ascribed emotions and thoughts to AIBO. Intriguingly, children of all ages placed the robo-animals in the moral dimension, with most expressing that it would be wrong to harm the AIBO dog or throw it out. Just as there has long been discomfort and concern over humanoid robots, and the ethics of their existence, these robotic animals and their uncertain categorization too raise ethical and societal questions. On the one hand, robotic pets have shown growing therapeutic values. Artificially furry friends like the the Joy for All Companion, Hasbro’s line of reactive robot dogs and cats, and Paro, a robotic seal made for therapy applications, have been used successfully for dementia patients, who often experience anxiety and distress. The service that these animals provide are similar to those given by an actual animal, cutting the isolation and sadness caused by their condition with companionship and affection—without the feeding and care demands of living pets. “In general, people respond to a pet robot like they would to an animal, by patting and cuddling it and speaking to it like its an animal,” said Elizabeth Broadbent, an associate professor at the University of Auckland researching human-robot interactions in health contexts. She noted that, unlike proposed robotic caretakers that are modeled after humans, humans “don’t expect much of a response except some animal noises and movements,” making them simple and effective in their design and execution. A 2016 study compared how 61 dementia patients fared when given a robotic pet (specifically, the Paro seal) three times a week for 20 minutes, as opposed to a control group who received the usual standard of care. The results were notable: the group that spent time with Paro showed a decreased pulse rate and higher blood oxygen levels (a sign of decreased stress), a lower rating on scales for depression and anxiety, and a decreased need for both pain and behavior medication. One small study also showed that children with autism engaged more with an AIBO robot dog than with a simple mechanical toy dog, displaying the verbal engagement and authentic, reciprocal interaction that autistic children often lack. For allergy sufferers or those without the time or money to care for pets, a robotic version might also be a better and more ethical option. Those trying to be eco-friendly might also be attracted to a robot’s smaller carbon paw-print. Yet developmental psychologists in particular have raised concerns: that humans exposed primarily to robotic animals, and not to living ones, might lack in the social or emotional connections provided by living creatures. “We [already] see concerns about children using other technologies like iPads and cell phones,” says Broadbent. “One of the fears is that children grow up more isolated and lonely because they do not form the same close friendships with other children through social media sites as they can form through face to face social contact.” The same concern applies, she says, to robotic companions. Melson added: “That question has given people pause […] are we going to diminish treatment of living animals, and people, because of the greater and greater presence of robots that seem to be good substitutes?” She cited the example of robotic pets in nursing homes, wondering if a decision to use only robots, and never real animals, might diminish the potential therapy benefit. However, Melson is optimistic that our “biophilia,” humans’ hypothesized attraction to life and nature, will prevent us from replacing living animals altogether. While researching the AIBO, she brought one of the little dogs home to test out its presence in her own home. “I have to say I was struck by the limitations rather than the possibilities,” Melson said.